This week I bought a couple of books since I had to get one of my must-read books of this year. Three finished copies and two ARCs (early not-yet-quite-finished copies) showed up in the mail. 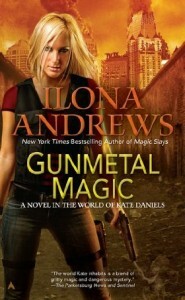 This is set in the world of Kate Daniels but it’s not a book with Kate as the main character even though it does include a novella about her entitled “Magic Gifts.” This particular book is about her best friend, Andrea, and is supposed to take place between Kate Daniels #5 (Magic Slays) and Kate Daniels #6 (forthcoming next year). Gunmetal Magic was just released this past week and is available in mass market paperback, ebook, and audiobook. An excerpt from Gunmetal Magic is available. 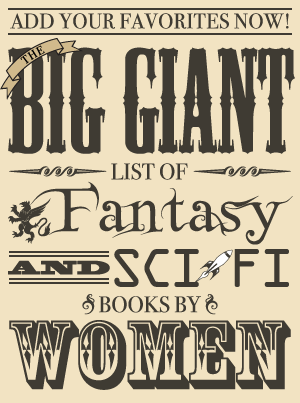 Kate Daniels is my very favorite urban fantasy series. Magic Strikes (#3) is my favorite urban fantasy book of all time with Magic Bleeds (#4) close behind it. These books just have everything – action, character development, a great sense of humor, mythology, and this amazing mystery around the main character that goes deeper as the series continues. While I am a tad disappointed not to be continuing Kate’s story, I’ve been hearing Andrea’s book is very good as well and am very much looking forward to reading it. This is a series that gets better as it goes along, and I was told that I had to get to book 3 to really appreciate it. This turned out to be true since it was really book 3 that turned me into a rabid fangirl fan of this series. This was my other purchase made when I ordered Gunmetal Magic. It sounds like the type of character-driven fantasy I like to read and it is on sale on Amazon right now. 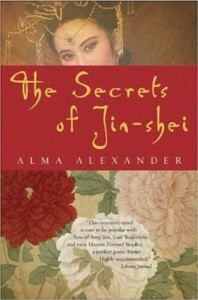 The Secrets of Jin-shei is available in paperback and ebook. The only working excerpt I could find was the one on Amazon. Updated to add: There is a sequel, The Embers of Heaven. Enter an ancient world of courtly elegance and intrigue, where sages are also sorcerers, and the daughter of a lowly seamstress can become a companion to an empress. In this magical land there is a secret language — a language that women have passed down from mother to daughter for countless generations — a language that signals a bond like no other… the bond of jin-shei. Set in a mythical Chinese kingdom, The Secrets of Jin-shei is a timeless story of what sustains friendship — and what tears it apart. Accepting all the joys and responsibilities of jin-shei, eight girls pledge lifelong loyalty to each other: the poet, Tai, whose promise to a dying girl changes the history of an empire; the warrior, Xaforn, an orphan who will protect her chosen family no matter what the cost; Khailin, the scholar, whose thirst for knowledge leads her into a world of dark secrets and alchemy; sage Nhia, the only person with the power to save Khailin; Tammary, the gypsy girl, whose secret lineage could ruin a royal house; Qiaan, daughter of a captain in the Imperial Guard, with family secrets of her own; the healer, Yuet, confidante to the empress; and the empress herself, Liudan, whose search for family and ultimate quest for immortality holds the power to destroy them all. This middle grade novel will be available in October (ebook and hardcover). An excerpt is available online. When their parents disappear in the middle of the night, young sisters Summer and Bird set off on a quest to find them. A cryptic picture message from their mother leads them to a familiar gate in the woods, but comfortable sights quickly give way to a new world entirely–Down–one inhabited by talking birds and the evil Puppeteer queen. 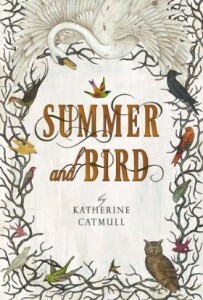 Summer and Bird are quickly separated, and their divided hearts lead them each in a very different direction in the quest to find their parents, vanquish the Puppeteer, lead the birds back to their Green Home, and discover the identity of the true bird queen. 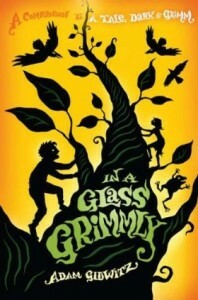 This middle grade book and companion to A Tale Dark & Grimm will be released in September (hardcover and ebook). An excerpt is available. This is a finished copy of a book I already read and reviewed last month when participating in a week of interviews with K. J. Parker. An excerpt is available on the publisher’s website. 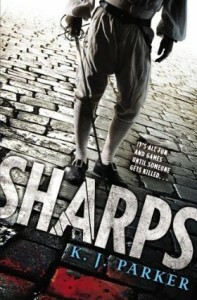 Sharps is available in trade paperback and ebook. 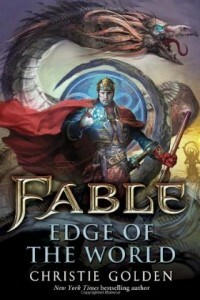 This prequel to the Xbox 360 game Fable: The Journey will be released in ebook and trade paperback on August 21. An excerpt is available on the publisher’s website. This book is exactly what it sounds like from the title – a collection of ghost stories concerning highways and roads. It will be released in ebook, trade paperback, and audiobook on August 7. There is an excerpt on the publisher’s website. It may have happened to you; it’s happened to almost everyone who’s ever driven down a highway at night, or in the fog, or snow. Something suddenly appears: a flash of movement, a shadow…what was it? It could be, as the true stories in this book attest, a ghost. 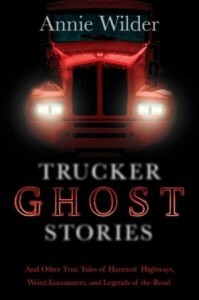 With so many different stories, Trucker Ghost Stories moves beyond the usual haunted house to offer stories to entice any ghost story reader…and anyone who’s ever wondered….